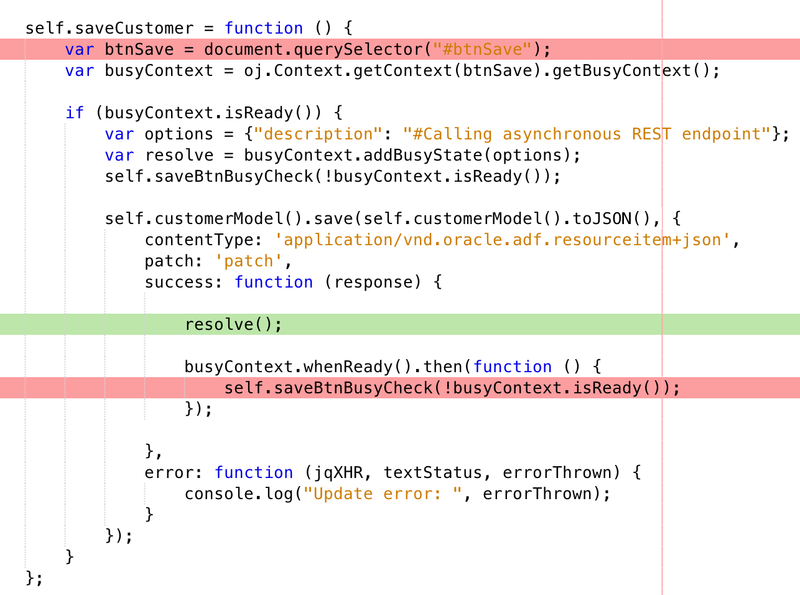 I have received feedback from users working with JET UI - sometimes it is not obvious that action button was pressed, users tend to press same button again very fast, which leads to parallel REST calls executing at the same time. 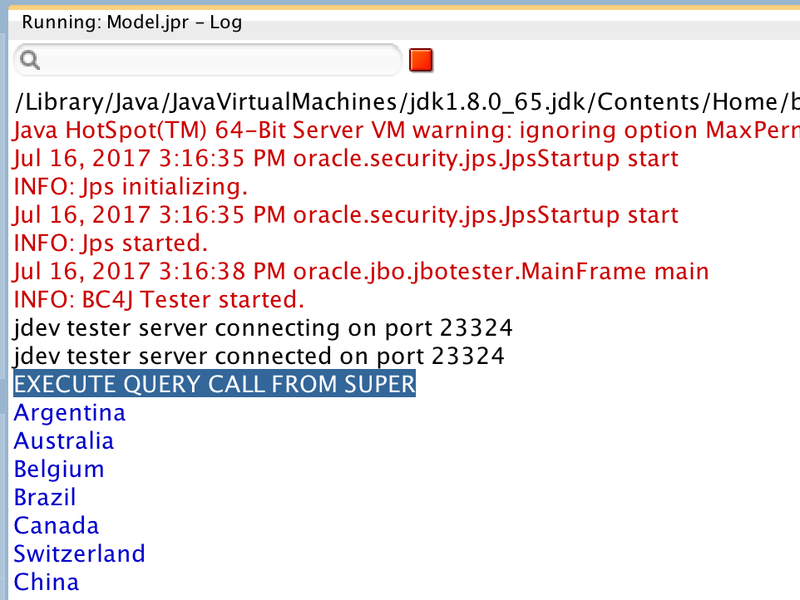 In JET - REST call is executed asynchronously, this makes user to believe action was done instantly when button was pressed. 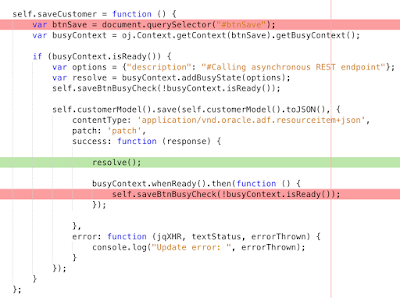 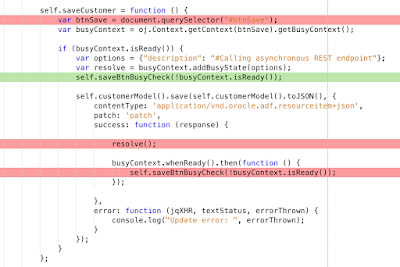 However, REST call still may run in the background - while user will be trying to call same service again. 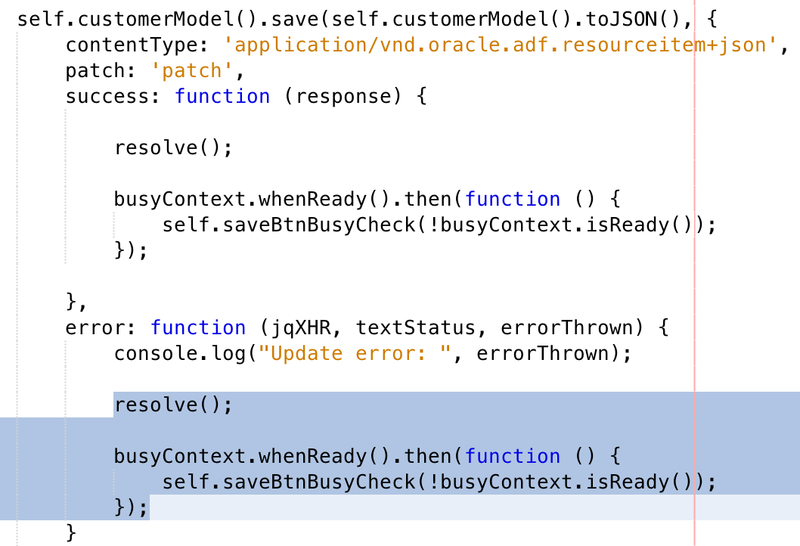 While in most of the cases such behaviour is fine, still there are use cases when we want to block action button, until REST response is not received (while response is executed, button will be disabled - this will give visual feedback to the user about action still executing). 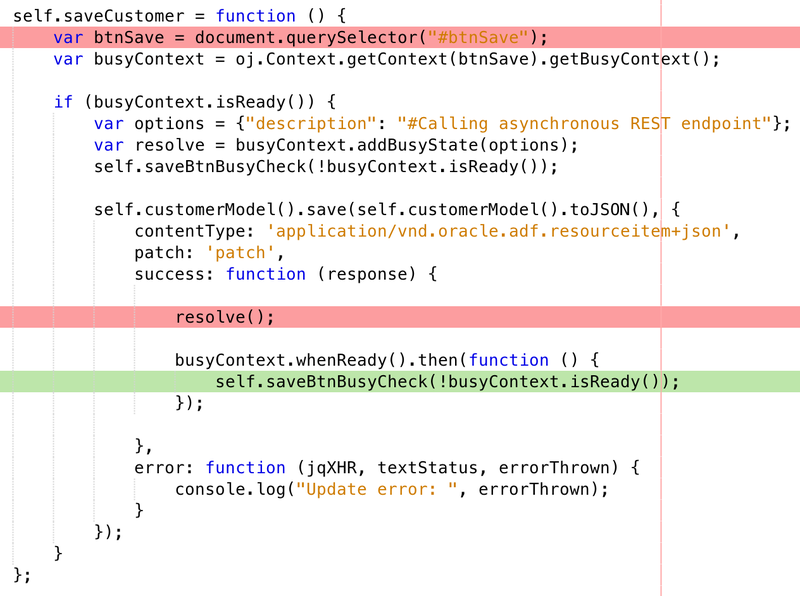 JET provides Busy Context API to handle asynchronous REST calls in synchronous way. 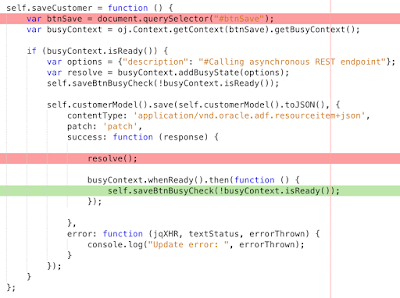 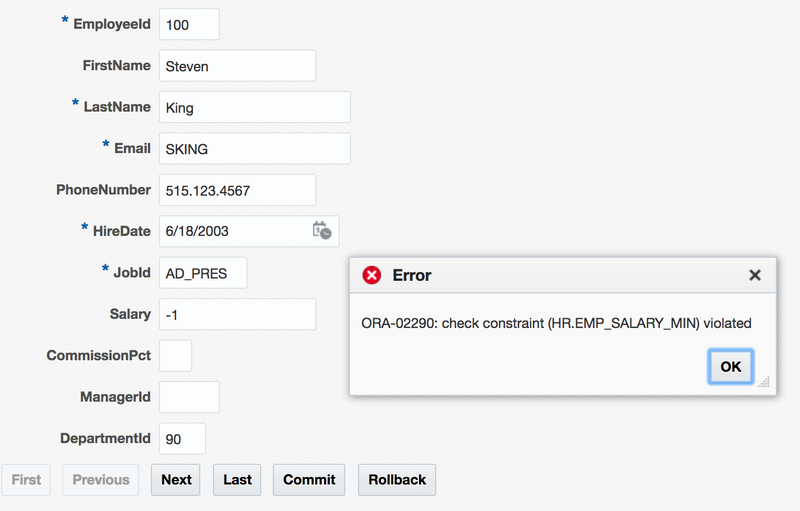 I will describe how to apply Busy Context API in your JET application. 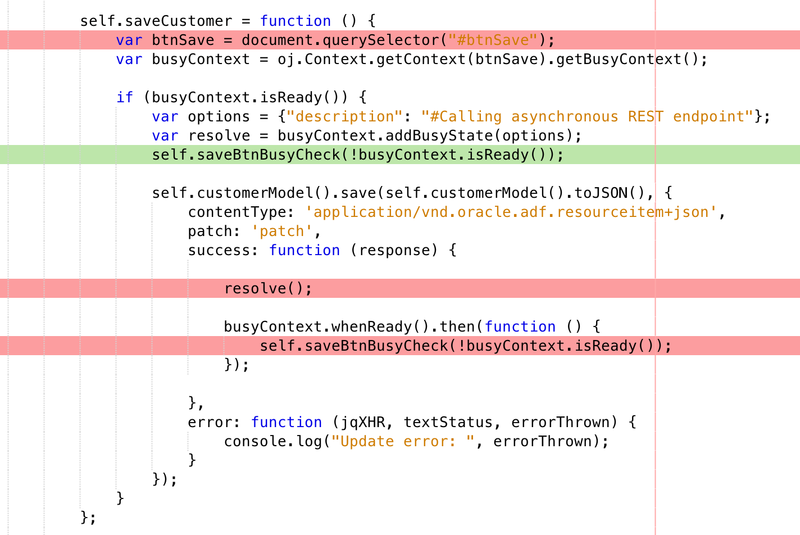 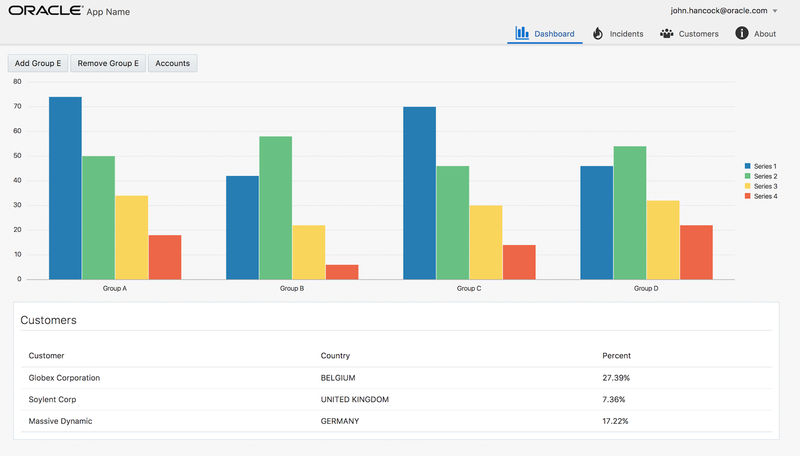 Take a look into my sample app (JET + ADF BC REST) available on GitHub - JETCRUD. 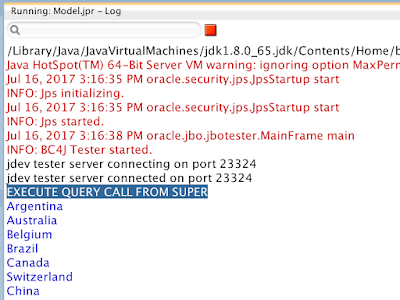 If you are modernising Oracle Forms system, high chance you need to rely on DB proxy connection. 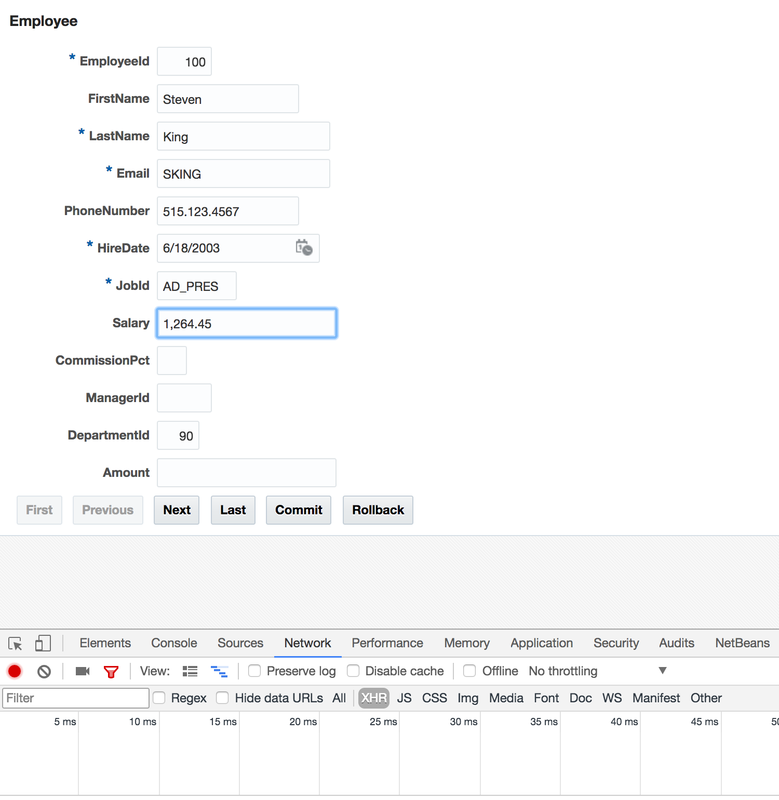 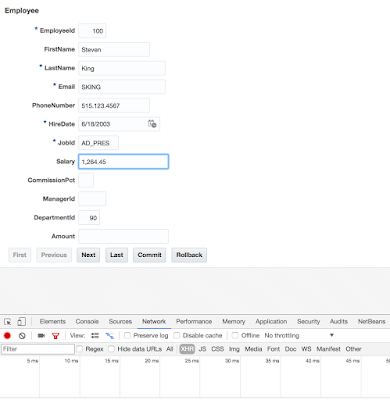 Read more about it in my previous post for ADF 11g - Extending Application Module for ADF BC Proxy User DB Connection. 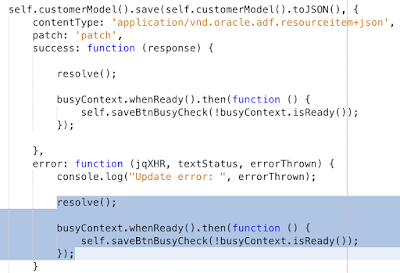 It works in the same way for ADF 12c, but there is issue related to handling DB error, when DB proxy connection is on. 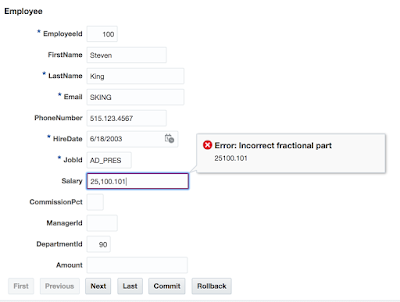 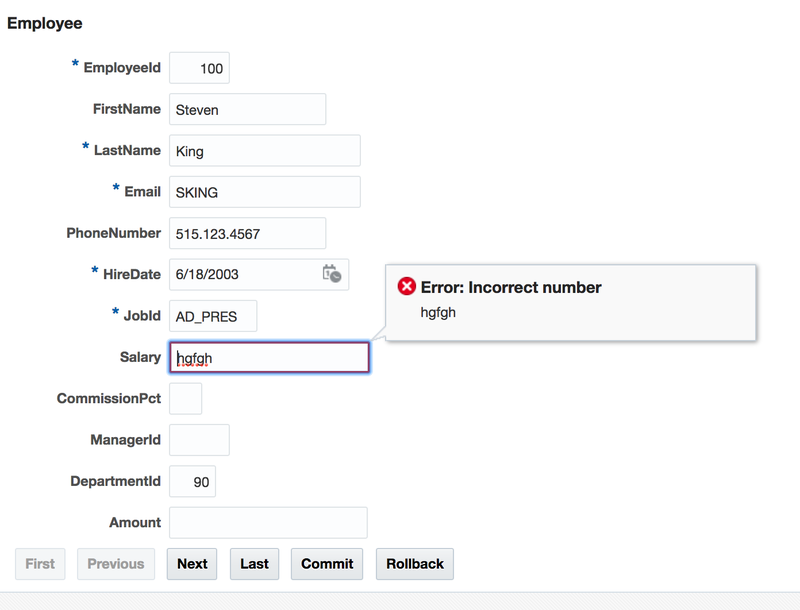 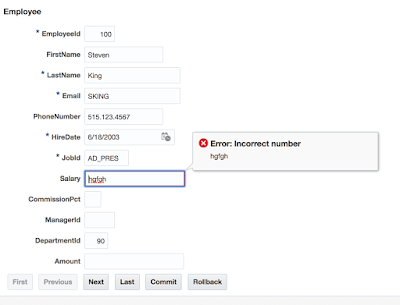 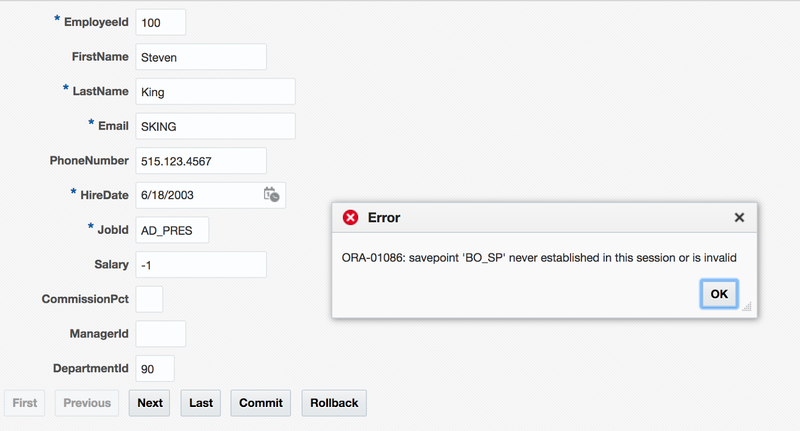 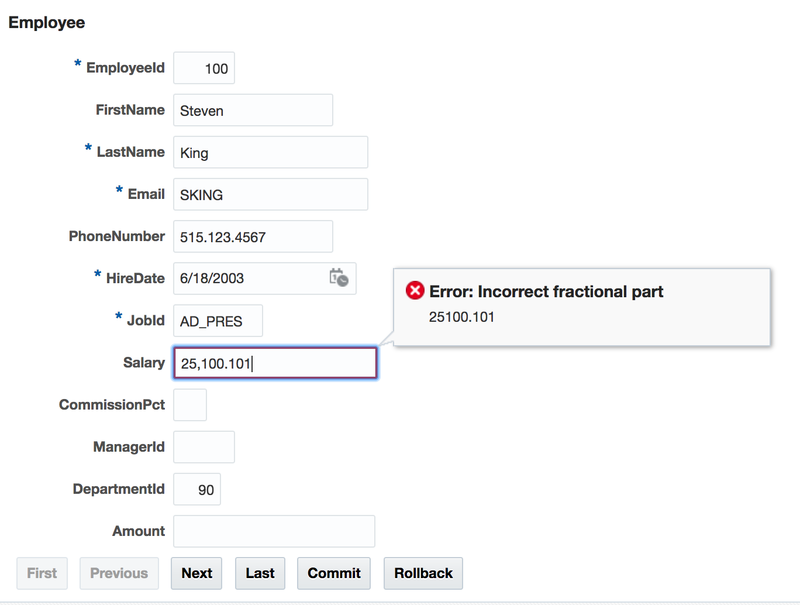 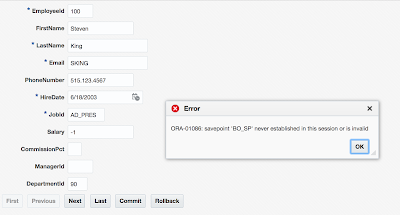 DB error is propagated to ADF but is being substituted by save point error (as result - user would not see original error from DB). 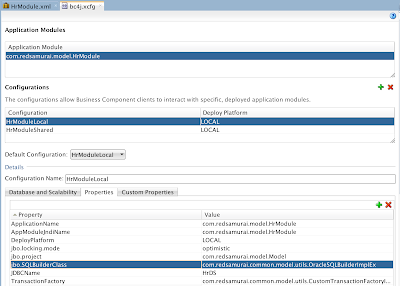 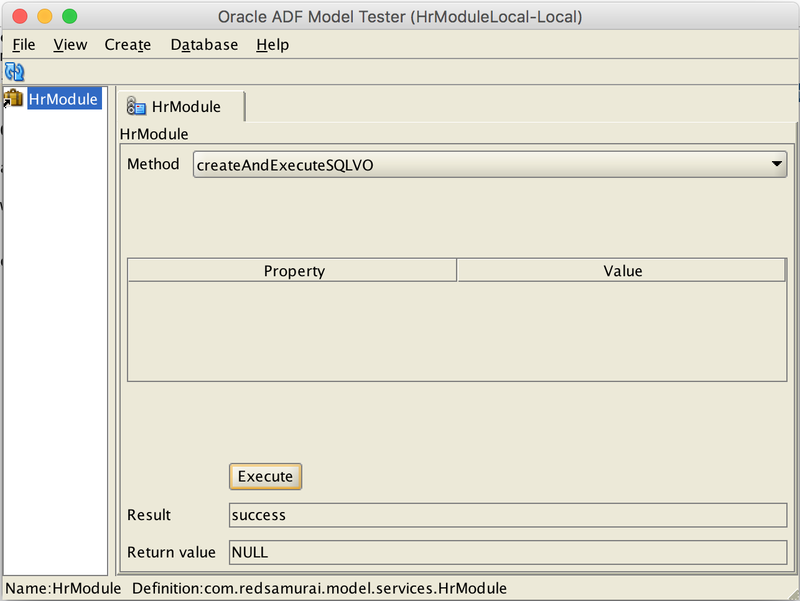 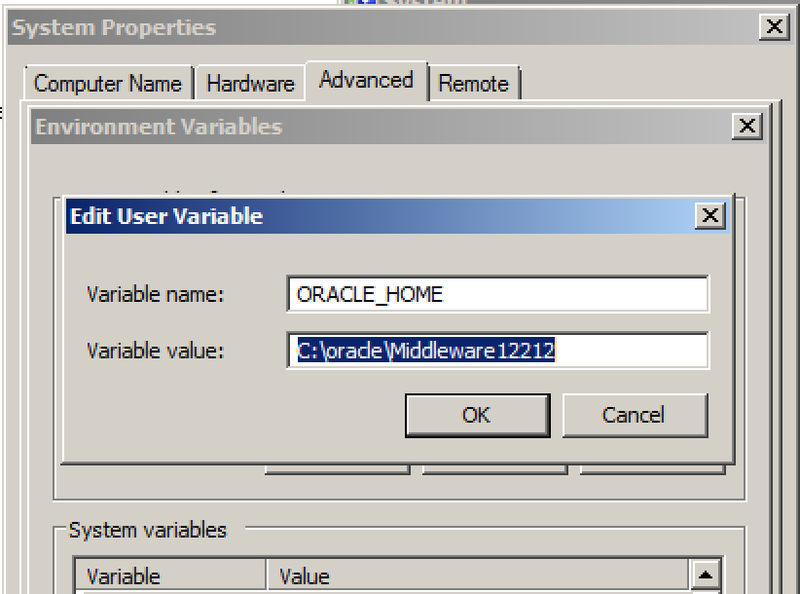 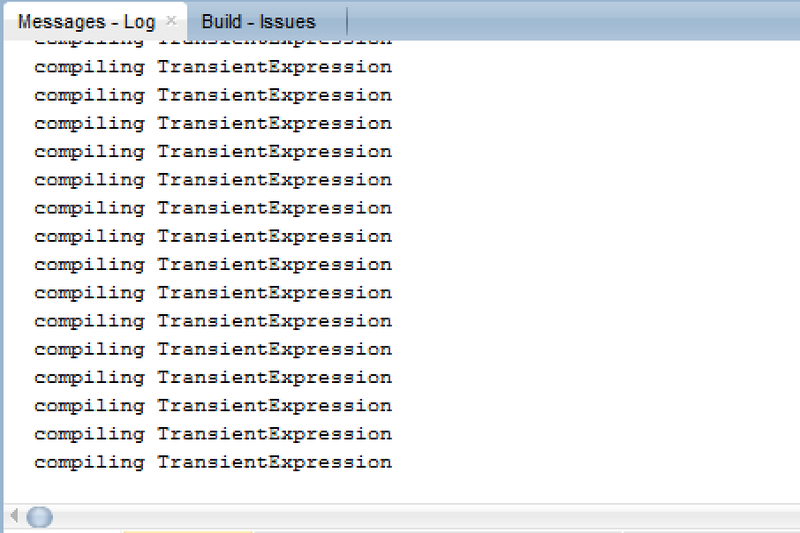 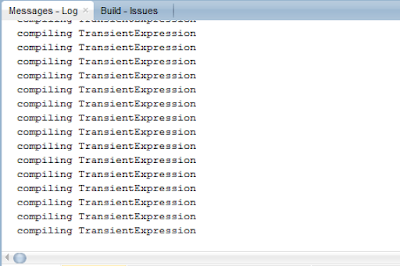 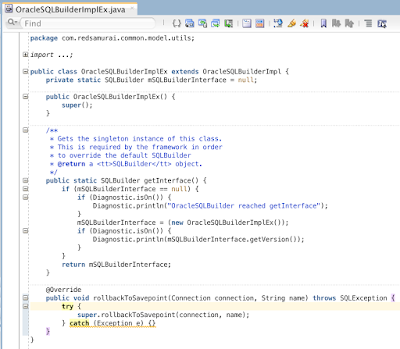 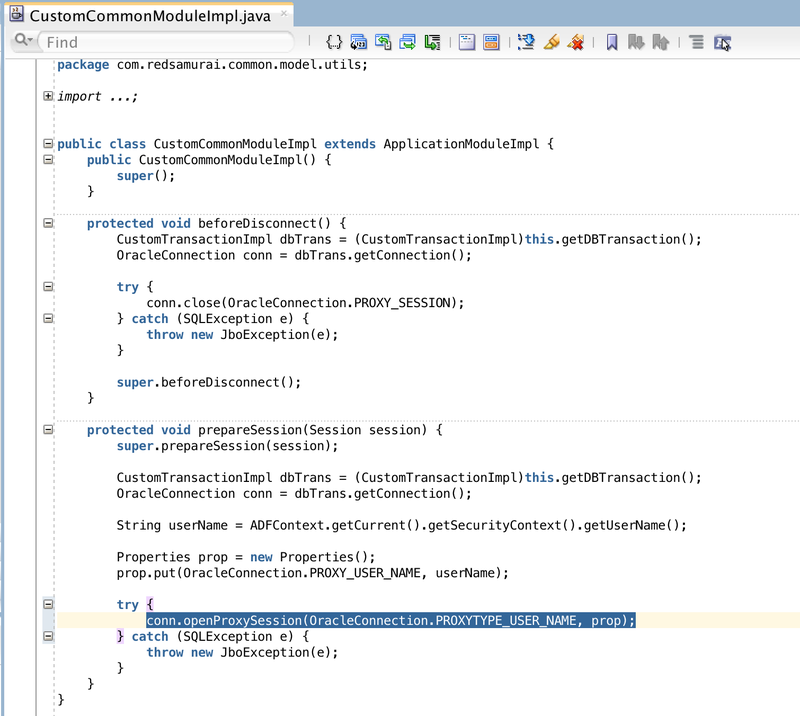 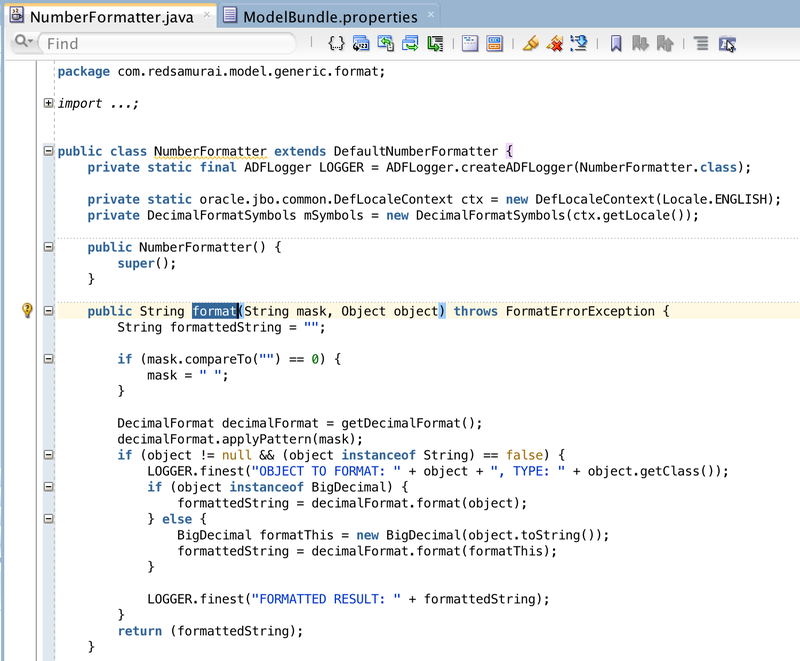 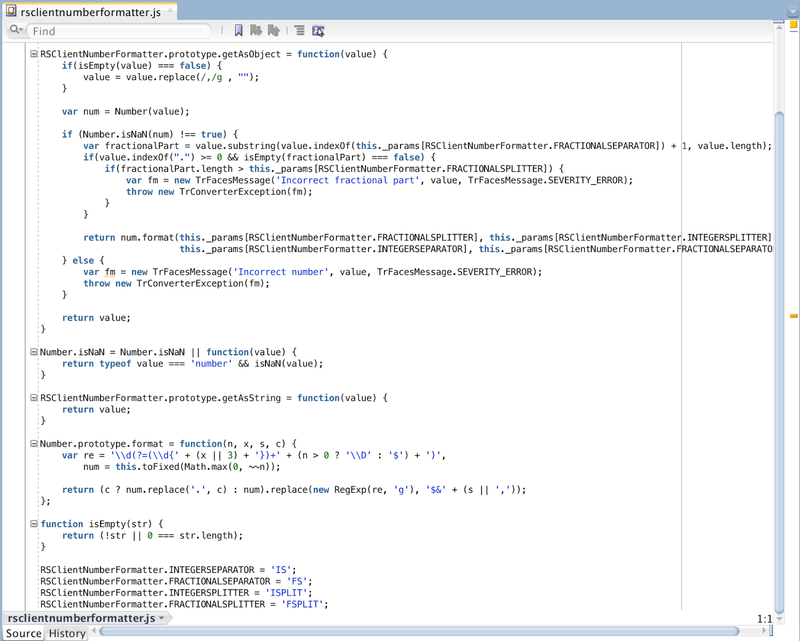 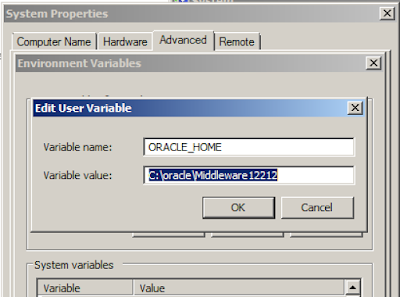 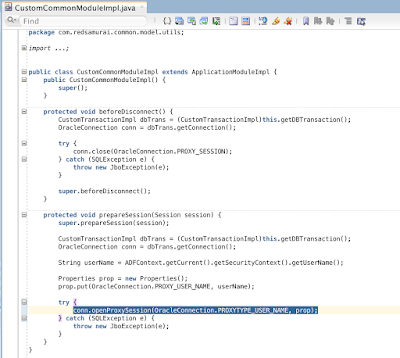 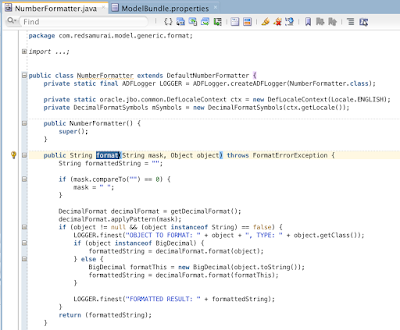 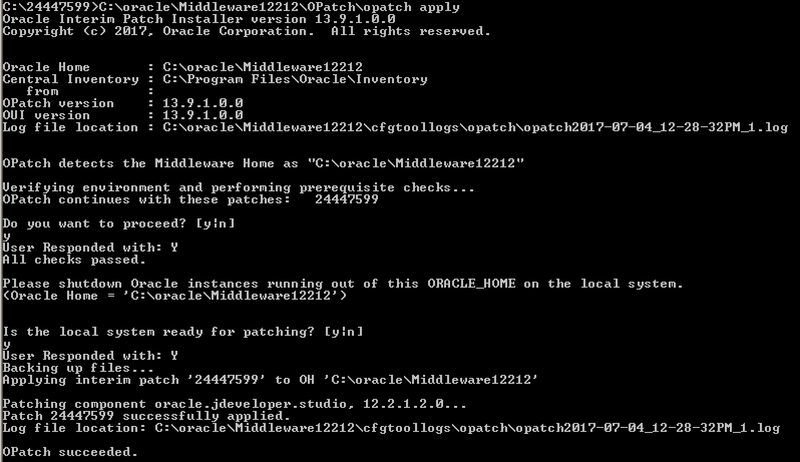 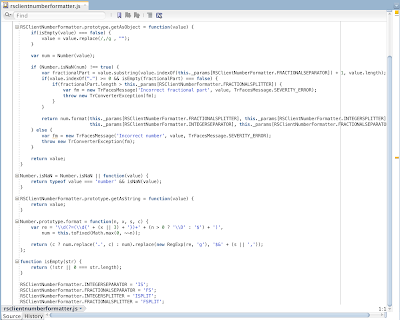 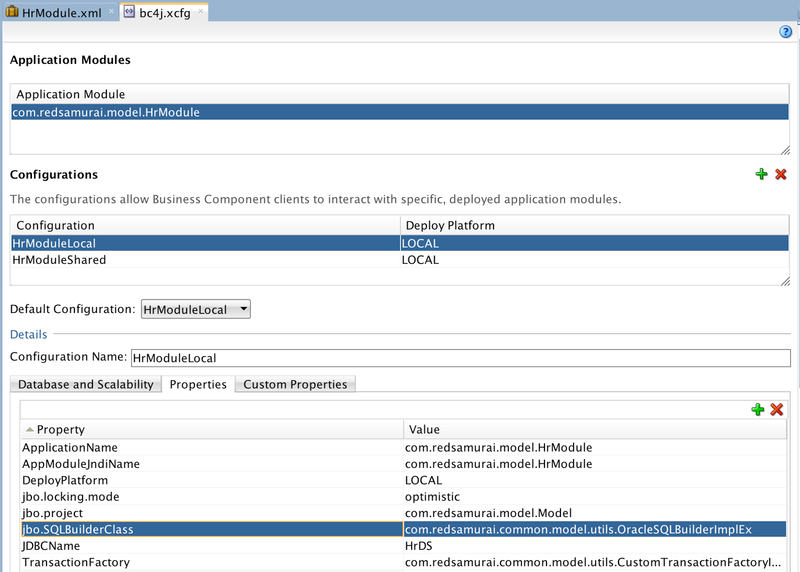 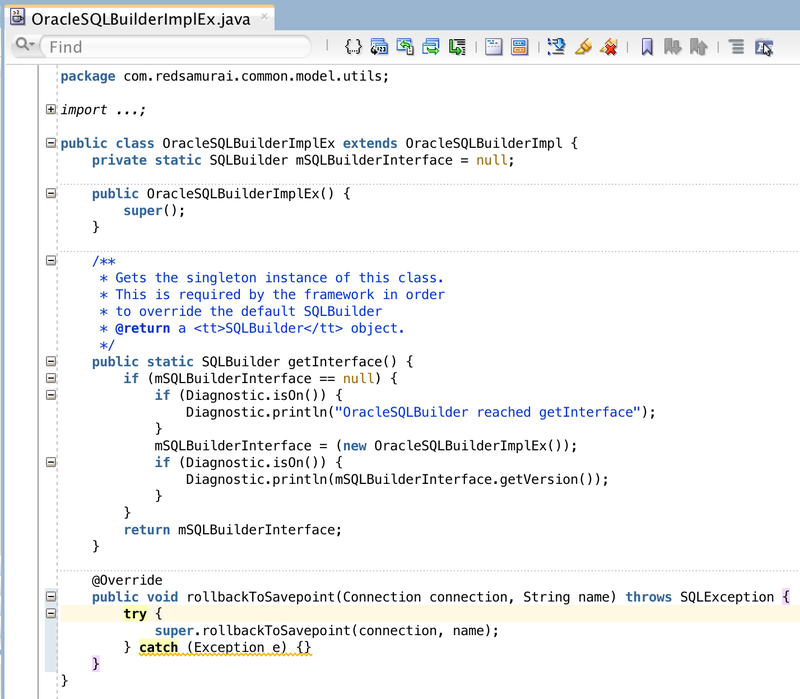 It seems like related to JDBC driver in 12c. 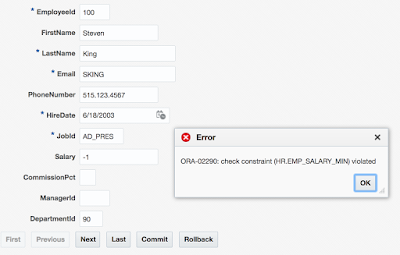 The workaround is to override ADF SQL builder class and disable save point error propagation (there might be better ways to workaround it). 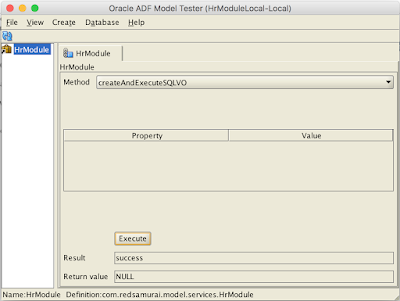 Download sample application - AMExtendApp_v3.zip. 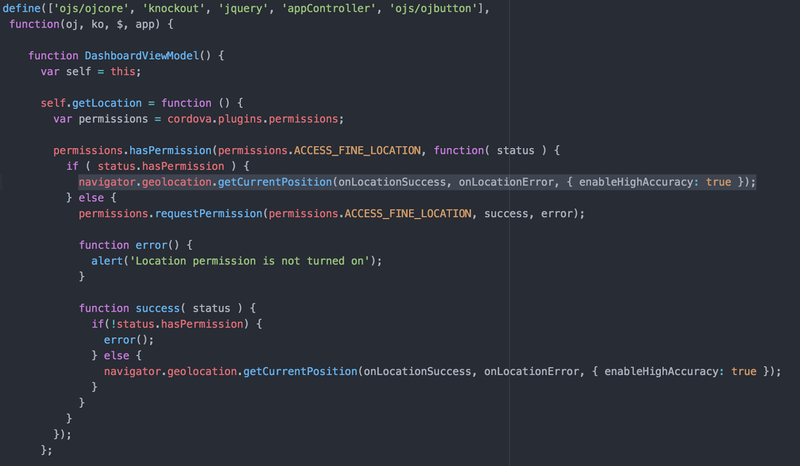 What if you want to access mobile device location data from JET Hybrid application? 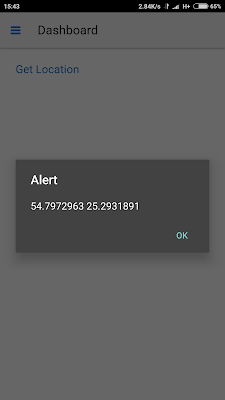 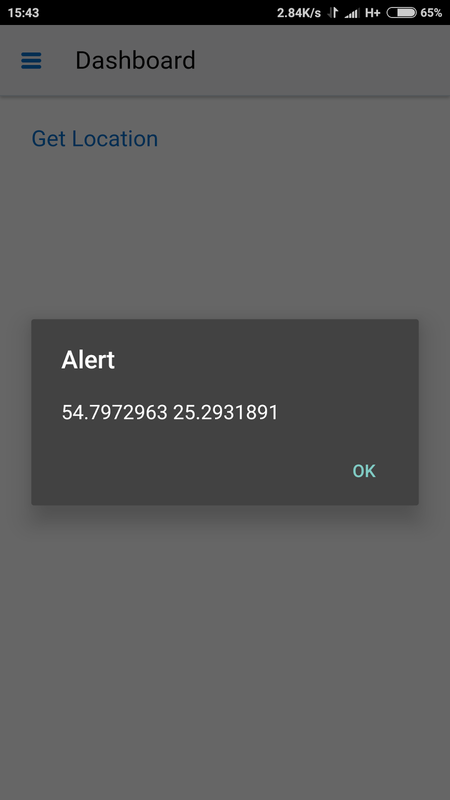 This can be achieved with Cordova Geolocation plugin. 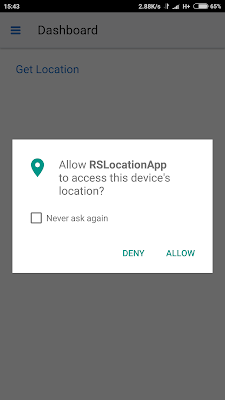 But you want it to be nicely done and want to make sure application is granted with permission to access location information. 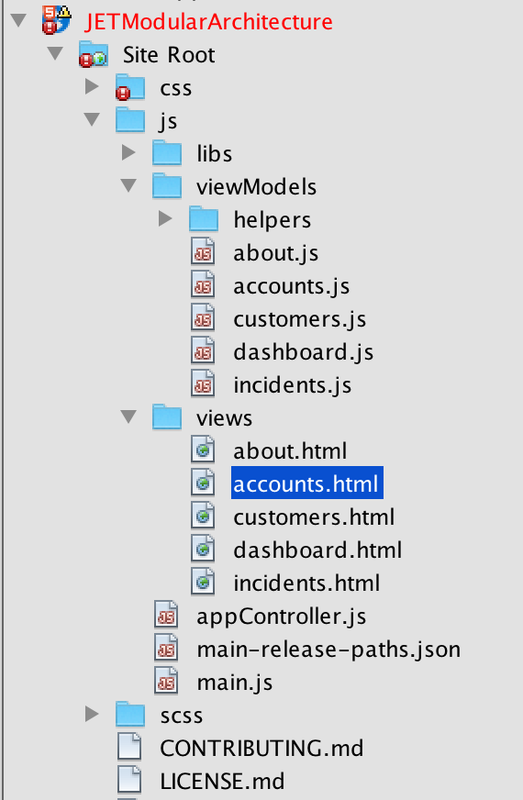 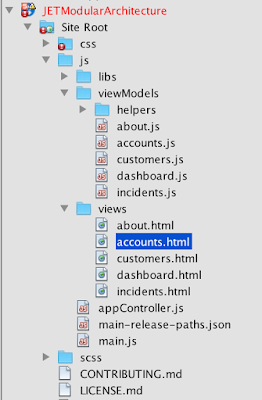 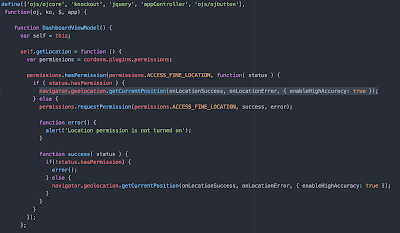 Use Cordova Permissions plugin for that. 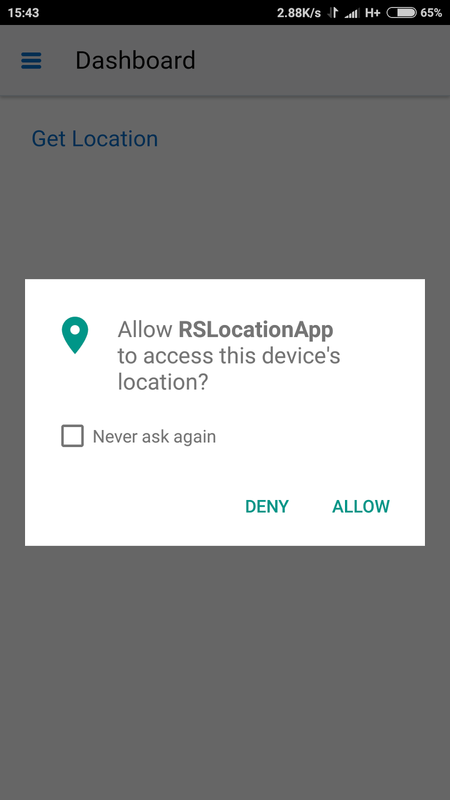 Download sample application from GitHub repository - rslocationapp. 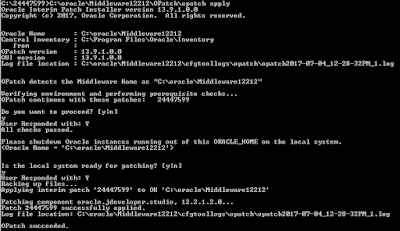 Hopefully fix provided by this patch will be included into next JDEV version by default.